New price! Reduced $60,000! Views, views, views! 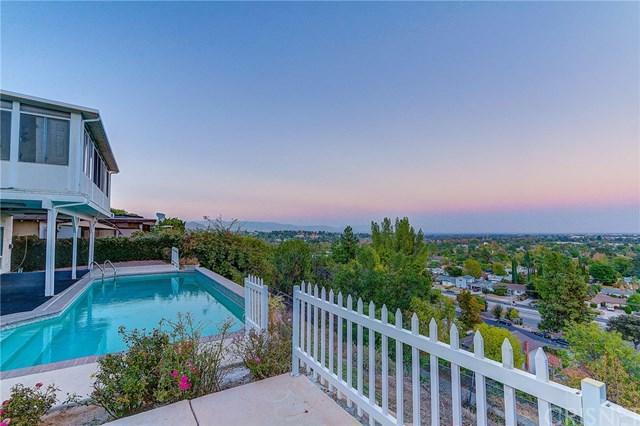 This 2-story 5 bedroom, 4 bath home offers jetliner views all the way to Burbank. Step down living room with fireplace and glass slider look out to fabulous view and the backyard pool and spa. Large picture window in kitchen looks out to view. Downstairs also offers a large bedroom off the 3/4 bath (could easily be converted to an additional master suite). 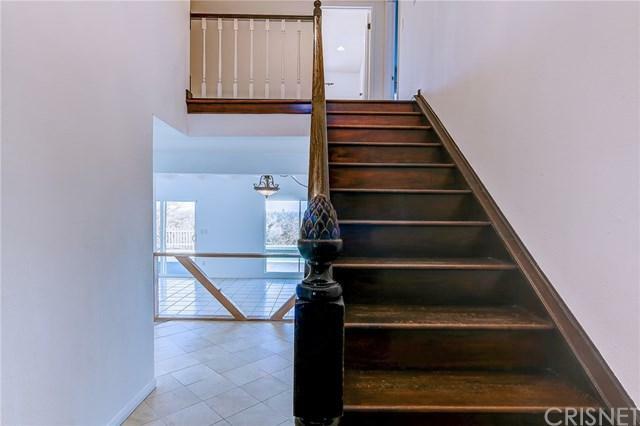 Upstairs features 4 bedrooms, including the enclosed patio which can also be used as a game/rec room, with amazing views looking out over the pool. Large master suite also offering views and large walk-in closet. The elegant master bath features a large soaking tub and separate over-sized shower. Additionally another bedroom upstairs can be used as a master as well, offering an ensuite 3/4 bath. Freshly painted interior, newer carpeting upstairs, newer laminate flooring, and newer ceiling fans. Located in an award winning charter school district. Reduced - Make your offer! This is not one to miss! Sold by Ronnel Ramsey of Keller Williams Realty-Studio. 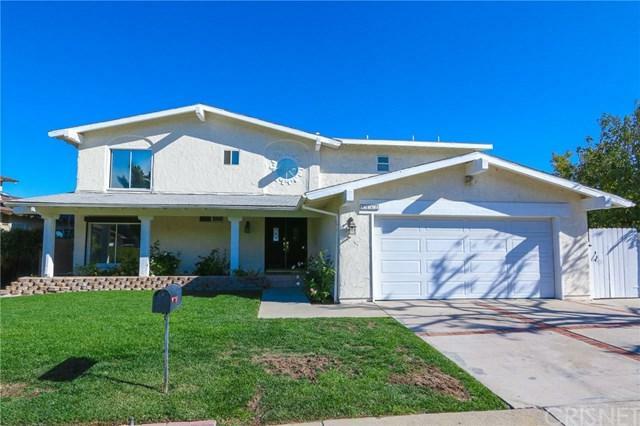 Based on information from California Regional Multiple Listing Service, Inc. as of 2019-04-20T16:34:00.073. This information is for your personal, non-commercial use and may not be used for any purpose other than to identify prospective properties you may be interested in purchasing. Display of MLS data is deemed reliable but is not guaranteed accurate by the MLS. Licensed in the State of California, USA. Kim Meeker Realty Group - South West Riverside and North County San Diego Real Estate Specialists. Based on information from California Regional Multiple Listing Service, Inc. as of 2019-04-20T16:34:00.073. This information is for your personal, non-commercial use and may not be used for any purpose other than to identify prospective properties you may be interested in purchasing. Display of MLS data is deemed reliable but is not guaranteed accurate by the MLS. Licensed in the State of California, USA.This information is deemed reliable but not guaranteed. You should rely on this information only to decide whether or not to further investigate a particular property. BEFORE MAKING ANY OTHER DECISION, YOU SHOULD PERSONALLY INVESTIGATE THE FACTS (e.g. square footage and lot size) with the assistance of an appropriate professional. You may use this information only to identify properties you may be interested in investigating further. All uses except for personal, non-commercial use in accordance with the foregoing purpose are prohibited. Redistribution or copying of this information, any photographs or video tours is strictly prohibited. This information is derived from the Internet Data Exchange (IDX) service provided by San Diego MLS. Displayed property listings may be held by a brokerage firm other than the broker and/or agent responsible for this display. The information and any photographs and video tours and the compilation from which they are derived is protected by copyright. Compilation © 2019 San Diego MLS, Inc. Licensed in the state of California.